We strive to be a diverse and nurturing faith community, radiating God’s love and peace in our ministry to the world, and welcoming everyone to active worship and service. We welcome everyone to worship God together, to be transformed by the Holy Spirit and each other, and to share the light of Christ in the world. Here you’ll find a church home where you can enjoy warm, friendly fellowship and a place to connect and grow through transforming relationships with God and others. Whatever your situation, we offer a safe place to express doubts, ask questions, and find answers. 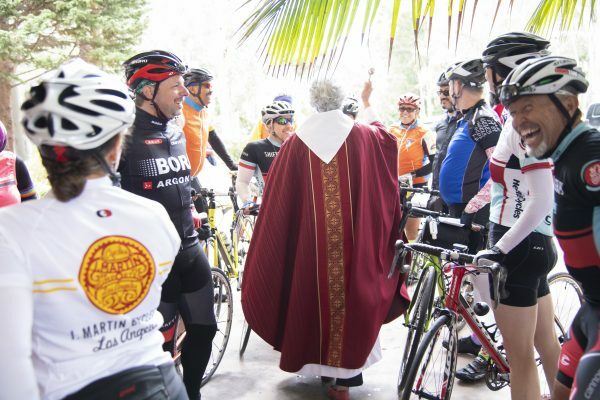 Folks from the Aids Lifecycle training ride stop by for a blessing on Pentecost! Love provides the energy for all we do at St. Francis. Our clergy, our staff, and our many lay leaders are dedicated to making St. Francis a place where we love God, love others and serve the world. 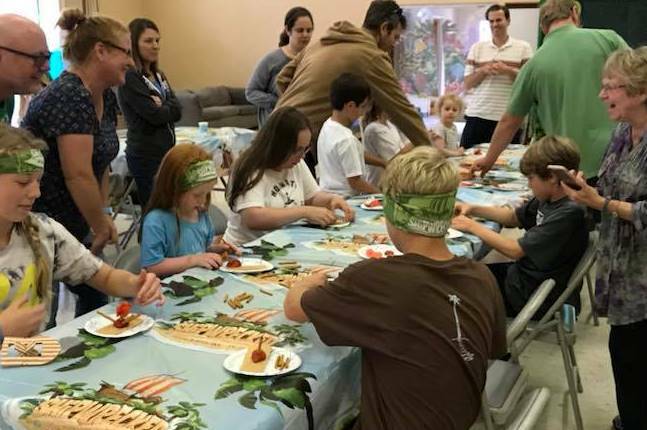 Our Mission and Vision statements underly our worship, our service (both within and beyond our walls) – and of course our fun!